The World of Handwriting Analysis: Why successful people do a Sreesanth ? Some insights from analyzing his signature. Why successful people do a Sreesanth ? Some insights from analyzing his signature. "Sreesanth" is not an official phrase yet but I found it apt to use it as a metaphor for the people who have achieved something great in life but still somehow found a way to stumble and fall to disgrace. 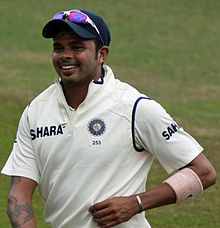 Indian pacer Sreesanth is cynosure of media's eyes these days because of his alleged involvement in the case of cheating in Cricket. Let me narrate two instances in the recent times that shook me to disbelief. 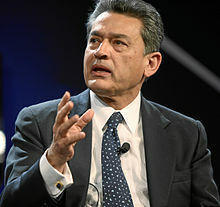 Rajat Gupta was one of the most cherished success stories of Corporate America. With a career spanning multiple decades he was one of the most respectable names, perceived as an epitome of professionalism. In March 2011, the S.E.C. charged him in the largest insider trading case in the United States' history. Given his impeccable reputation, his acquittal was a sort of jaw dropping moment for the world. One factor that made the whole saga unexplainable was accepting the fact that a person of Gupta's stature, who was worth more than $100 million dollars, cheat just for gaining a mere few million dollars. It was his past mighty reputation that made big names like Bill Gates, Kofi Annan, Mukesh Ambani write to Judge to show some leniency in the verdict. It is said that some members of the Jury were seen weeping on passing the judgement on him. This case proved that even the best in business suffer from what Rajat later called "Error of Judgment". Second instance that is dominating the headlines these days is related to spot fixing in Cricket. S. Sreesanth who has represented India and was a part of 2 World cup winning teams was nabbed by Police on the charges of fixing the portion of the league Cricket match. The instance of Spot fixing is not new to Cricket but what is more surprising is that a person involved in the national team did it. The national team in India are more than handsomely paid through contracts and also for all the attention the players get, they become the face of many a products via heftily priced advertisement contracts. For instance, in Indian Premier League where Sreesanth was caught spot fixing. his franchise paid him around INR 2.2 crores per season spanning close to 2 months. This equates to playing about 16 matches. With the rotation of players throughout the season, an average player may get to play say half the matches. Equating all this, it could be safely calculated that Sreesanth was getting paid a staggering (approx) INR 1.15 Lakhs for bowling a single ball! For a person to still indulge in spot fixing despite earning so much so effortlessly would really take a different kind of motivation. I would be careful before using the word "effortlessly" in the last sentence because I do realize that sportsmen do work very hard and the especially the ones who have made it to the top would have done after making so many sacrifices in life. The same would be true for Sreesanth for making it big in life and he deserves credit for that part of his life. These 2 stories are similar in some ways and dissimilar in other few ways. Dissimilar because both Rajat and Sreesanth belonged to different professions. Rajat was at the fag end of his career and had worked hard to establish a world class reputation before he was caught in insider trading whereas Sreesanth was more often in the news for wrong reasons and didn’t per say had a stellar reputation. He was more or less at the mid of his career. The similarity of both these instances lie in the sheer stupidity of their act despite having achieved so much monetarily and otherwise. Some moments of bad thinking set them towards the path of failure causing almost an irreparable damage to their reputations. Their acts hung their heads and more so of the professions they represented in shame. More intriguing question for me in these episodes is- Why do people after reaching the peak in their careers would ever think of getting into such an act ? The keyword here is "Greed". And these cases prove that Greed sometimes plays a more dominating role in the minds of people who have achieved spectacular things in life. It’s as if a voice rings in the minds of these people that says "I have achieved so much in life, why not a little bit more before i sign-off". In achieving that "little bit more" people tend to lose the basic sense of ethics- a sense of deciding what is right or wrong. Even a momentary lapse in ethics can cause the problems of huge proportions as we can see in these cases. What is greed, actually ? I got interested in seeing Sreesanth's signature only after the Spot fixing incident that took place. Given the way the investigations are going currently, i am somewhat sure Sreesanth has already delivered his final autograph to an affectionate group of people called as Fans. For this analysis, i had to rely on the signature sample available on the internet. I do not trust these public samples often but the traits i am going to list in the following words were found in various versions on Sreesanth's sample available on the internet, so we could be rest assured this close to accurate. Does Greed show up in Sreesanth's signature ? 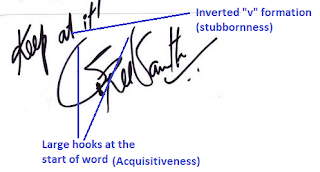 One of the traits that is significantly prominent in Sreesanth's signature is his desire to acquire or in other words- acquisitiveness. This trait primarily deals with desire to possess something material or intangibles like knowledge etc. 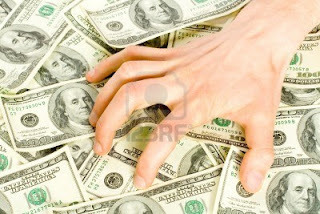 Greed, in some sense is a function of Acquisitiveness in one's personality. This is represented at the kind of hook formation at the start of letter. In his signature, it can be found with starting "S" of his first name and last name. Desire to acquire need not always be bad as being human beings, there is a need to have some ambition to acquire things or knowledge. Like the saying goes- "Excess of everything is bad", the same could be thought of as true in the case of Sreesanth. For numerous signatures and handwriting that i have seen and analyzed, i have hardly seen any person having such big hooks at the start of word. That certainly is a proof of something excess at play here and when any trait is in excess proportions in human personality, it often causes problems in behavior or general response to many life situations. If i have to make an informed guess about the pressure exerted while writing signature by looking at Sreesanth's signature sample, i would go for High pressure. High pressure is often treated as a trait intensification portion of handwriting or signature.Trait intensification portion meaning that presence of these portions in the handwriting usually intensifies other aspects of the personality. If we add this fact to excessive desire to acquire, we get a person who could do go out of this way to meet his excessive desires to gain the material wealth. Another interesting observation from Sreesanth's signature is the presence of Stubbornness in his personality. Stubborn people are more braced towards their own ideas and don’t want to be confused with the facts after their mind is set on something.Stubbornness is actually a defense mechanism. It develops from the subconscious fear of being wrong. Stubborn people think that they are right all the time. With this defense mechanism in place, Sreesanth would have turned down the voice of any external person, who would have tried to show him the right path once he set his eyes on the wrong doings. The world that we live in today often teaches us to learn hard from failures and become better. But as these cases prove, more than failures, the successful people could do well to learn to handle success better. Most of the ills in the world come from lack of expertise in handling success. Here's wishing all the sporting heroes of the world understand this and realize that the whole world looks up to them for inspiration. @anujmagazine nice post. Why indeed do successful people do a Sreesanth! No easy answers. But sad! Saurav- I didnt get your comment. Can you please elaborate ? I like to send you my own Signature- May you please elaborate my Sign. my i.d. is - -bhuwanesh_sharma@rediffmail.com and the phone no is 0987047669. Kindly provide me yours email i.d. Thanks.